White Hospital - Long Sleeve Snap Side Opening Shirt. Authentic Hospital Shirt - White with Side Snaps - 0-3 Mo. Boys Onesie with a snap bottom. Great for your Reborn Babies. Little Carter's Boy's Onesie with a snap bottom. Fits dolls 19" to 24"
Girls Soft Short Sleeve Onesie with a snap bottom. Girls Onesie with a snap bottom. Girls So Soft, Carter's Short Sleeved Onesie. 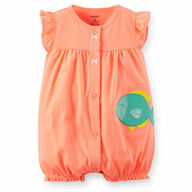 Girl's Onesie with a snap bottom. Girls Soft Onesie with a snap bottom. Fits 19" to 22" Dolls. Cute Strawberry Applique on back. Fits 20" to 24" Doll. White Short Sleeved Onesie with snap bottom. Newborn Size - Blue Animal Print. Girls Soft Hospital Rib Knit Long Sleeved Onesie. Newborn Size - Teddy Bear Print. Boys Hospital Rib Knit Long Sleeved Onesie. Hospital Short Sleeved Onesie with snap bottom. Limited Time - High Quality White Newborn Onesie. So Soft Hospital Rib Knit Long Sleeved Onesie. White Hospital Short Sleeved Onesie with snap bottom. Solid White Hospital T Shirt with Hemmed Seams. White Short Sleeve Pullover Style - 100% Cotton Rib Knit. Fits 14" - 18" Doll. Hospital T Shirt with Hemmed Seams. Short Sleeve Pullover Style - 100% Cotton Rib Knit.